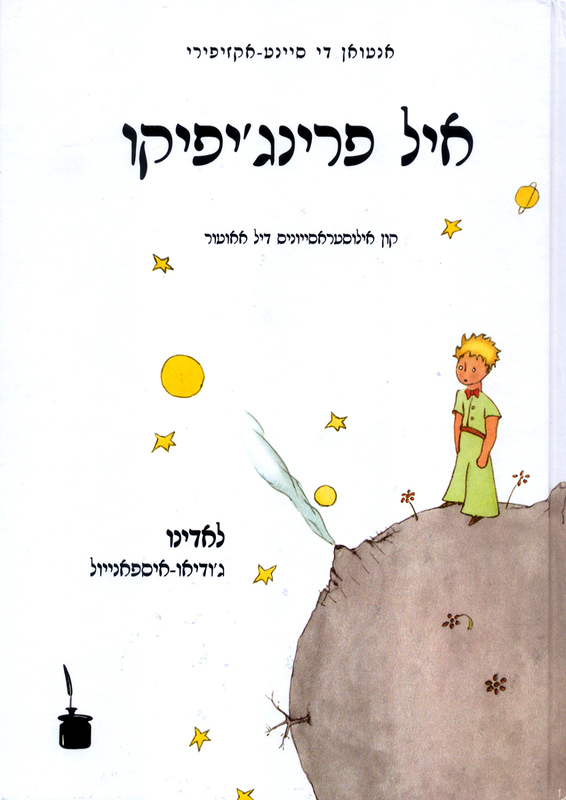 Remarks: The book is printed in Rashi script, traditionally used for written Judeo-Spanish. It can be found directly at Verlag Tintenfass in Ger­many. Ah, princhipiko, a poko a poko ambezi ansi tu vida melankolika! Durante muncho tiempo tu uniko divertimiento fue la dulsura de las shekiot del sol. Ambezi este muevo detalyo al kuarten dia por la manyana, kuando me dishites: Me gustan muncho las shekiot del sol. Remarks: Second edition of the above translation. This beautiful book can be found directly at Verlag Tintenfass in Ger­many. 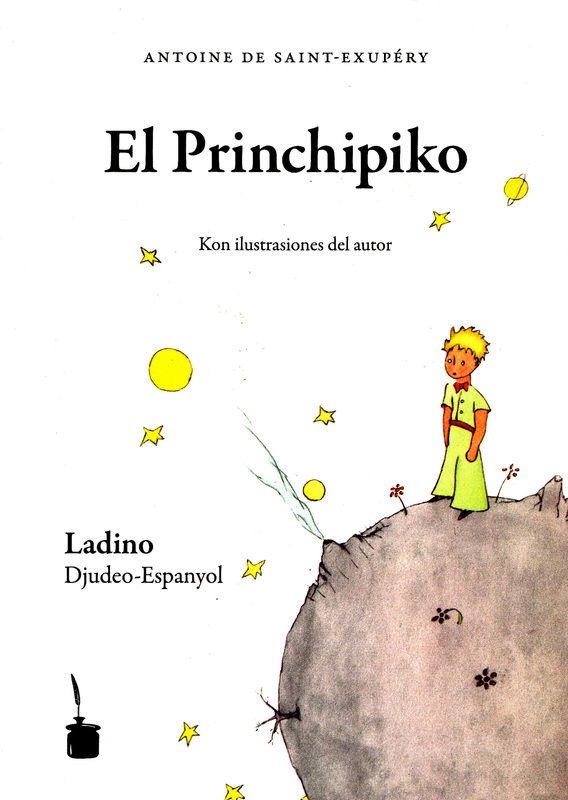 Ladino is a language spoken by the Sephardi Jews expelled from Spain in 1492. It is a language derived from Spanish and spoken by 150,000 people in communities in Israel, Turkey, the former Yugoslavia, Greece, Morocco, the Americas, among many others. The language is considered seriously endangered since most speakers are elderly and assimilation to Hebrew is a serious problem. Further information can be found at http://en.wikipedia.org/wiki/Judaeo-Spanish.